Copyright: Fusion Art is granted usage of the chosen artwork, for display, marketing and promotional purposes for that art exhibition and for any future Fusion Art themed art competitions and exhibitions - either online or in the Palm Springs gallery. 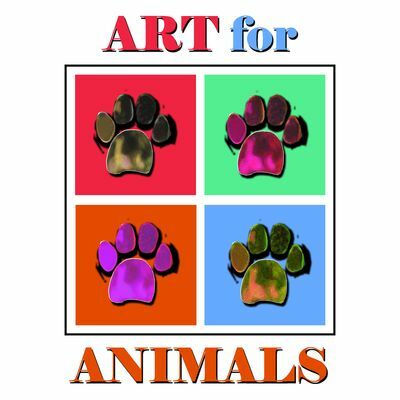 The Art for Animals Juried Art competition and exhibition will help support these organizations. For this competition artists and photographers are encouraged to share their artistic vision and interpretation of Animals, both domestic and wild. The artwork can include any animals that live on land, in the sea or in the air and can range from realism to surrealism to abstraction. Twelve winners will be chosen and their artwork will be featured in the Palm Springs gallery during the month of December 2016. Image requirements: JPG format; under 3MB in file size; 96 dpi; no frame, mat, or watermark.